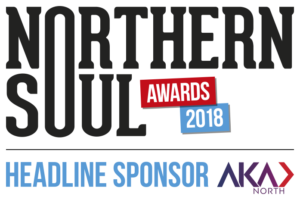 When Talawa Theatre Company last appeared at the Royal Exchange with its groundbreaking production of Arthur Miller’s All My Sons, Northern Soul was blown away by the production. We called it a “devastating performance” and lauded the show as a “landmark in the theatre’s recent history”. Now the company has returned to Manchester with a new version of King Lear. There is much to look forward to in its take on Shakespeare’s classic drama in which families tear each other apart. Don Warrington, a formidable classically trained actor who, for better or worse, will be forever associated with Philip in TV’s Rising Damp, takes the title role and is joined on stage by Philip Whitchurch as the Earl of Gloucester and Miltos Yerolemou as the Fool. 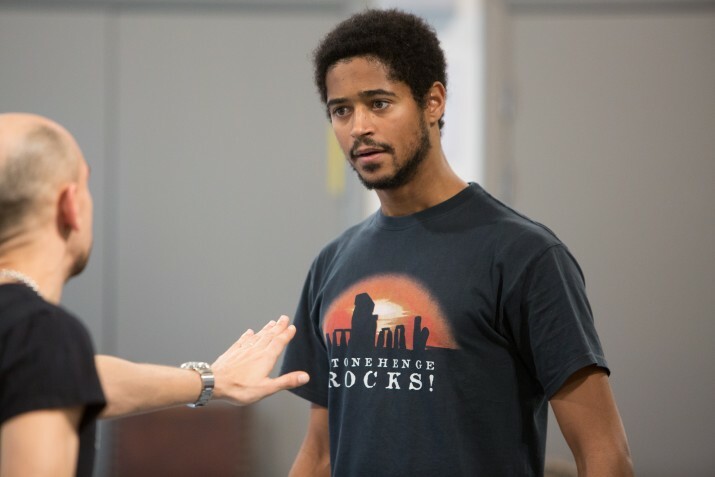 Meanwhile, Alfred Enoch, fresh from his role as Wes Gibbins in the award-winning ABC drama How to Get Away with Murder and his work on the Harry Potter films (he played Dean Thomas), makes his Royal Exchange debut as Edgar. King Lear is an oft-told story. On this occasion, this brutal portrait of a man unravelling – pitted against his daughters, against nature and against the universe itself – is a co-production with Birmingham Repertory Company. Edgar is a pivotal role – initially a trusting young man, he is betrayed by his brother and is forced to adopt the persona of a beggar. We talked to Enoch ahead of the run at the Royal Exchange. 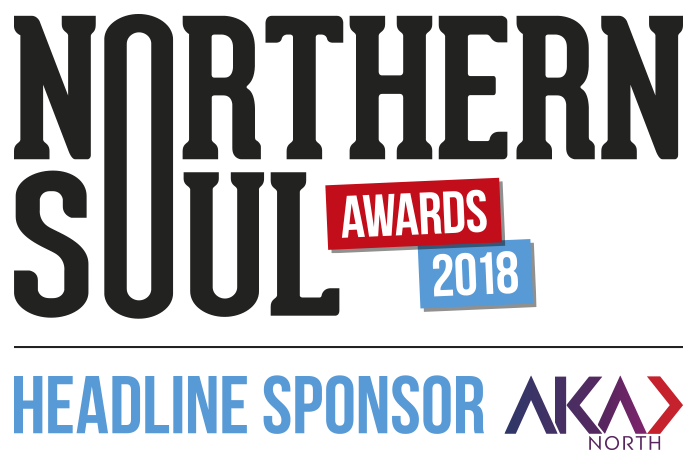 Northern Soul: Tell us a little about King Lear. 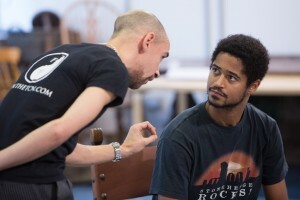 Alfred Enoch: This King Lear production is a telling of the story which is very text based. We are attempting to bring to life a play which people do know and hopefully some people will come to see it that won’t know. It’s set in an early medieval Britain, a violent, dangerous world where power is fought for and the people that have it wield it quite drastically to further their own ends. It’s a world where loyalty is to the king, to the father, and that’s where we start from and as the play progresses it unravels. NS: And your role as Edgar? AE: Edgar is the eldest and the legitimate son of the Earl of Gloucester, one of the higher ranking nobles of the realm, who is an adviser to Lear. He is someone who is in a good place really, he stands to inherit the Earldom when his father dies and that is what he expects. He feels secure in his legitimacy and his eventual succession. But of course as the play goes on that is all threatened. Everything starts to fall apart. NS: What’s he like to play? Is it similar to any role you’ve done before? AE: He is not like anything I’ve done before, because he goes on such an extreme journey. He is there at the beginning, secure in himself and his position and then everything turns on its head and he’s forced to adapt and transform to preserve himself and so he does that time and again. He takes on other identities for his own preservation and for the preservation of those who are important to him. He comes out at the end of it, changed in a fundamental way, he’s a different character after this huge journey he’s been on, after the extreme situations he’s exposed to, rather than the young man we see at the beginning of the play. So it is a very satisfying part to play in that respect and there’s a lot to get stuck in to. NS: The production is part of many events commemorating 400 years since the death of Shakespeare. Did Shakespeare affect your life and career in any way? AE: Yes, hugely. I think the first play I ever saw was Henry V at the Globe. My dad is an actor and he did a lot of Shakespeare in his career so I would go and watch him work, and go and see plays that he was in. So, he’s always been a very strong presence throughout my life. In fact my dad was doing a production of Hamlet when I was born. He dashed down to London to catch my birth and rushed to make it back for the evening show. Then – like many kids probably – I used to watch him and think I want to do what my dad does. When I started getting more and more of a sense of what that was, the more I saw of it, the more I wanted to be part of it, and thought this is amazing, what a job. Tell stories, play different people for a living, what a gift, what a privilege. So I would badger him to teach me things. NS: How easy is it to make Shakespeare diverse? AE: I don’t see it as an issue of easy or hard to make it anything, I mean they are stories. The job of production and the writer and the actor and everyone who works on a show, their job is to tell a story and draw you in. Someone’s ethnicity shouldn’t be important when you go to see a play or watch a movie. I think it is important that we have an industry in theatre, in film and in television that reflects society. Not just that reflects society but reflects the different elements of it, opportunities for all performers so that people can work based on merit. NS: So companies like Talawa are very important to ensure that this happens? AE: The problem is that we find ourselves in a situation where it’s not happening, where theatre or entertainment is not representative of society in all sorts of ways – not just based on ethnicity – so I think it’s important that the perception gets changed. There was a study published listing Black, Asian, minority ethnic performers in classical theatre and there were shocking discoveries of how few performers who are of minority ethnic backgrounds haven’t played certain roles. You think, why? What about all these great actors? It’s important that a study like this has been made, to show the data. It holds a mirror up to the industry and says do you know what, this is what the situation is. Then hopefully there’ll be an acknowledgement that it isn’t right because it’s within the power of individual industries to create a more equal, fairer place for the good of every individual and society itself as a whole. NS: You’ve done other theatre work. How does it compare to film and TV? AE: The nice thing about being an actor is the variety. You work in different media, play different parts, you tell different kinds of stories, you work with different people. The instability of it is difficult but the variety is the flipside of that, which is one of the nice things. It’s hugely different working on television or film or theatre but one of the great things about being an actor is that you can work in all sorts of different ways. NS: How did the role of Wes Gibbins in How to Get Away with Murder come about? AE: I was doing a play in London and thinking like every actor does about what is coming next and this script came through, I thought well this looks good. I thought, I’m never going to get that, the character is American, it’s set in the States, it’s going to be shown to an American audience, and I’d never even worked in an American accent before. I thought it’s not going to be me, I’m English, I’m based in England. But a couple of weeks later I was on the plane to Philadelphia to shoot the pilot, which was mad and very exciting. The pilot got picked up and now it is Thursday night TV on ABC. All of a sudden it’s this huge thing, a real gift. People love Shonda’s shows and they seem to be fast paced and gripping. NS: You’ve worked with some hugely talented people. 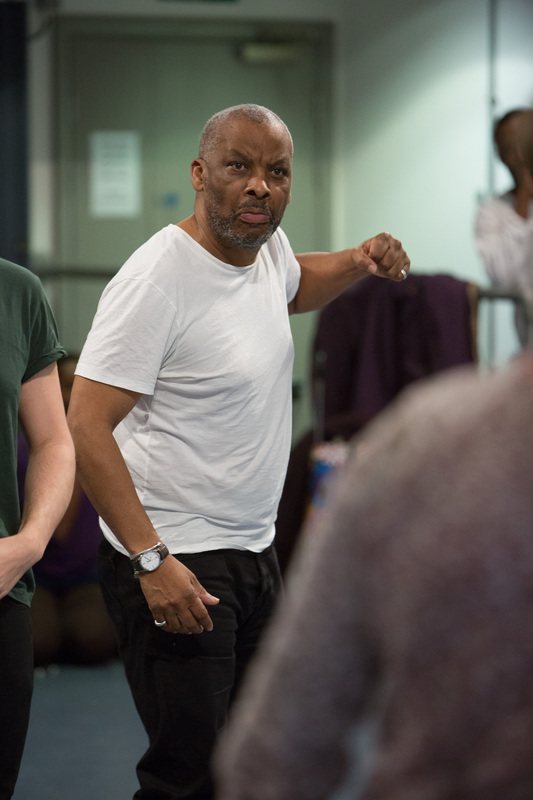 How much pressure do you put on yourself when working with people like Don Warrington and Viola Davis? AE: It’s funny because I never really see it like that, it is such a privilege to work with people who are fantastically experienced, achieved so much, talented and excellent at what they do. It’s such an opportunity. I get excited, not nervous. The pressure I put on myself is the same because it’s already maxed out. NS: I can’t let you go without mentioning Harry Potter. You played Dean Thomas. Was that a life changing role? AE: Definitely life changing, but on another level I already knew that acting was what I wanted to do. The wonderful thing about that role was that it made it all possible, very immediately. Eleven-years-old and all of a sudden I was in this big movie, I got credit in something people had heard of and an agent. So I was in position when I finished university to go and work. Things would have not been the same had I not done that. NS: The last question I have to ask on my son’s behalf. Knowing yourself now, would you say the sorting hat put you in the right house?! AE: What a great question. Yes, I think so! King Lear is a Royal Exchange Theatre and Talawa Theatre Company co-production. It’s at the Royal Exchange, Manchester until May 7, 2016. For more information, click here.